What are they thinking over there? 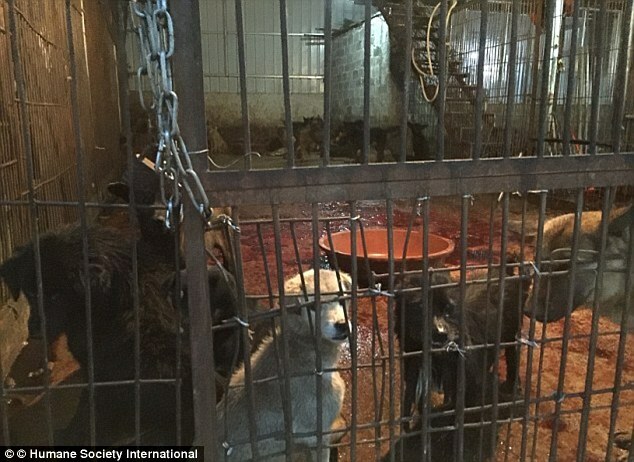 Animal protection organisation Humane Society International (HSI) confirmed the rescue to MailOnline and called it ‘an amazing operation dealing a heavy blow to the city’s dog and cat meat traders’. The organisation said China has the largest and most extensive dog meat business in the world. In the last few weeks alone, HSI has seen hundreds of dogs saved throughout the country by the organisation’s local partners. She added: ‘Dogs are snatched from the streets, crammed violently into tiny wire cages, packed on trucks and driven days or weeks across China without water or food, before reaching the slaughterhouse where they are beaten to death in front of each other.